An IRS revenue agent's job is to conduct tax audits of individuals and businesses as well as trusts and non-profit organizations. Revenue agents generally conduct tax audits of the most complicated tax returns ranging from small "Schedule C" businesses to the largest multi-national corporations. They are also assigned to the IRS' Offshore Voluntary Compliance Program (OVDP) to determine whether the failure to file a Form TDF 9-22.1, Foreign Bank Account Report (FBAR) will be subject to FBAR penalties. The minimum requirement for a job as a revenue agent generally includes having a bachelor's degree or higher in accounting from an accredited college or university that included at least 30 semester hours in accounting. These 30 hours may include up to 6 semester hours in any combination of courses in business law, economics, statistical/quantitative methods, computerized accounting or financial systems, financial management or finance. Internal Revenue Agents are not required to be CPAs although a few are. Revenue Agents determine tax liability through a tax audit which is sometimes referred to as an examination. Revenue Agents do not collect tax. Instead, that task falls to an IRS Revenue Officer or R.O. Revenue Officers are assigned to the most difficult IRS tax debt cases. Those individuals or businesses who the IRS has been unable to collect from through letters, phone calls and tax levies and garnishments generated by IRS computers. Revenue Officers are not generally accountants and they have little training in substantive law. Therefore, statements to revenue officers that the tax is not owed don't generally get very far. The work requires analytical skills and judgment to make a range of choices such as: how to advise the taxpayer on liquidating tax liabilities; whether to seize and sell; whether to accept a part-payment agreement; whether to recommend 100-percent penalty assessment (aka trust fund recovery penalty); whether to accept an Offer in Compromise, partial lien discharge, or subordination, or whether to initiate suit recommendations. Within certain parameters, Revenue Officers are given a huge amount of discretion in determining whether to accept or reject a proposed installment payment agreement or other resolution of a tax debt. 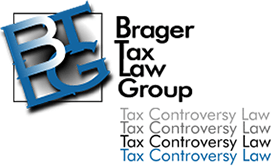 Therefore, it is imperative that your tax attorney or other tax professional be skilled at advocating your position within existing IRS guidelines if your tax debt is to have any chance of favorable outcome. Revenue Officers are not generally accountants and they have little training in substantive tax law. Therefore, statements to Revenue Officers that the tax is not owed generally don't get very far; indeed it feels like these protestations fall on deaf ears. If your case has progressed to a Revenue Officer and you believe that you don't owe the tax, then you will need to get your case back to an IRS Revenue Agent. There are generally two ways of doing this. One way is to file an Offer in Compromise (OIC) based upon "doubt as to liability." The OIC doubt as to liability should not be confused with the more common type of Offer in Compromise -- the Offer in Compromise based upon doubt as to collectability. While the OIC based upon doubt as to collectability requires that you prove to the satisfaction of the IRS that it will be unable to collect the tax debt within a reasonable amount of time, the OIC based upon doubt as to liability has no such limitation. Also unlike an OIC based upon doubt as to collectability, the OIC based upon doubt as to liability doesn't require the payment of a 20 percent deposit. The OIC based upon doubt as to liability is submitted on a special form -- IRS Form 656-L. It requires that you provide an explanation of why you believe that the amount of tax you are being billed for is incorrect. You should also include an explanation of why you believe the IRs would have significant litigation risks if it went to trial. An alternative to submitting an OIC based upon doubt as to liability is to submit a request for audit reconsideration. the audit reconsideration process is outline in IRS Publication 3598. According to IRS Publication 3598, if you are already making payments on an installment agreement, you must continue to make those payments while your request for audit reconsideration is pending. In the experience of our tax litigation attorneys, it is not unusual for it to take several years before an audit reconsideration request is resolved. Depending upon the circumstances, you could be in a situation where the IRS owes you a refund by the time your case is complete. However, one pitfall is that there is a statute of limitations (generally two years from the date of payment or three years from the date the tax return was filed) to file a claim for refund. Therefore, you will need to carefully monitor the situation and may need to file a claim for refund to preserve your rights.